The public can't know they exist. It could start a panic. The average citizen is perfectly fine with superheroes saving the day or causing mayhem in movies and comic books. But if those suprahumans actually walked among us, what would happen then? In a crumbling post-war city of the future, private eye Charlie Madison stands in the gap. The last of his kind, a champion of lost causes, he confronts corrupt cops, violent bratva and yakuza, doing whatever he can for the average citizen in need of help. A war veteran with plenty of hardship in his past, he’s not afraid to go toe-to-toe with the powers that be, whether they’re in the criminal underworld or the federal government. Madison has encountered more than his share of unusual suspects over the years. But this time he's up against something he’s never seen before, on or off the battlefield: people with unnatural abilities. 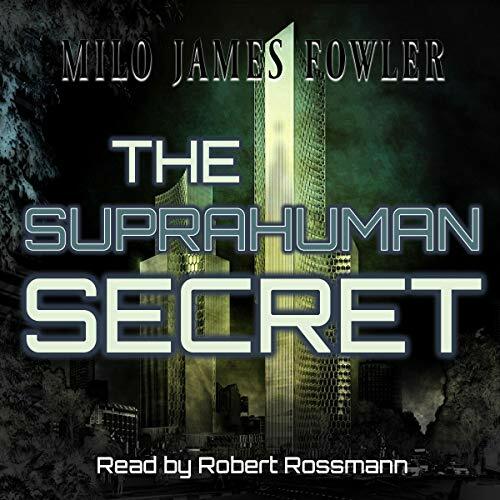 Suprahumans. Gifted ones. Their powers are too incredible to believe, too dangerous in this unstable world. Their existence is a secret guarded by government agents who mindwipe anyone encountering them. For Charlie Madison, the Suprahuman Secret emerges when a little girl goes missing and no ransom demand is made. He takes the case, but time isn't on his side. After 48 hours in this town, it's unlikely an abducted child will be found in one piece. As the mystery unfolds, Madison uncovers a bizarre truth about the girl that seems impossible. But it could explain why she was kidnapped - and why she might still be alive. ...and not even close. A straining attempt for noir that couldn't even manage grey. managed to get an hour into it and then bailed like a passenger from a burning plane.. anything has to be better than this.. story awful and worsened by the narrator . avoid at all costs.